I’ve always known Ontario was a large province, but this is crazy! We’re 4 days into our 9-day trip and we’re about halfway through Ontario. Kevin keeps telling me that it’s time to hustle, “We have to make good time today – get some kilometers under our belt.” he says. When all I want to do is lounge on the beach and hit up another Bed & Breakfast on a secluded island somewhere. I want to get lost… just for a little while. Ontario will do that to a girl. Our 6-hour stopover in Tobermory, Ontario translated into a 36-hour stay in; what is now, one of my favorite beach towns. 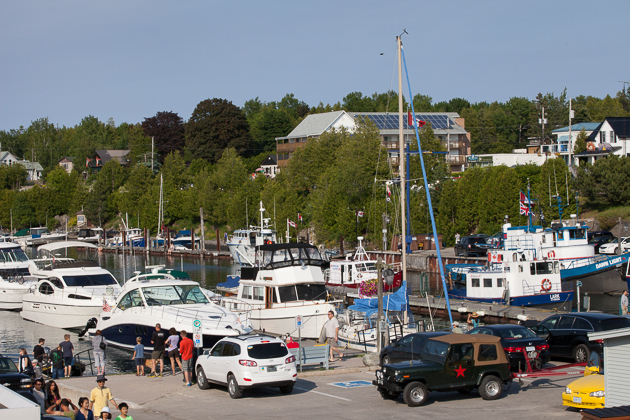 Tobermory (also know as, “The Tub”) is a quaint little town off the coast of Lake Huron. 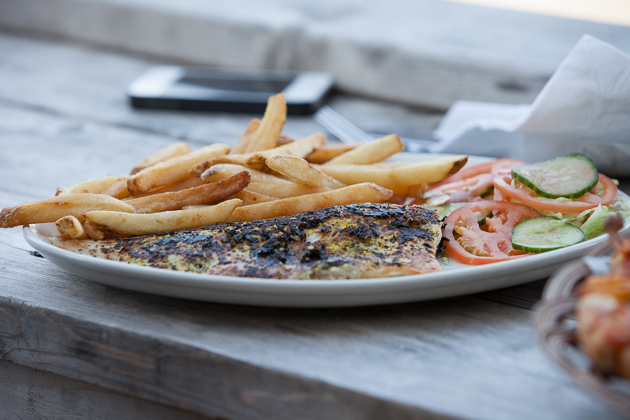 The scenery is beautiful; the people are friendly, and the food… the food! I was full-on expecting that I’d have to live off canned tuna and lettuce greens during our visit (little towns like Tobermory don’t exactly have a good reputation of having allergen-free restaurants), but Matthew and Kristin; the owners of Crowsnest Pub & Restaurant located in the heart of Tobermory, made can openers and bland salads a thing of my road trip past. 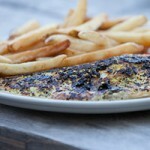 The pub boasts a bunch of different items that can be made gluten-free, dairy-free and; in some cases, grain-free. 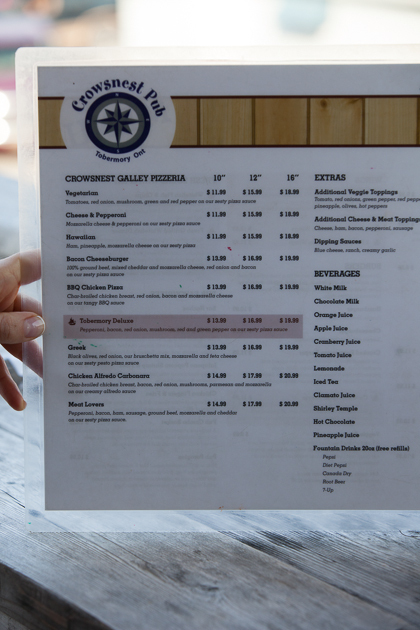 Gluten-free pizzas, dairy-free cheese for pizzas, fish plates featuring Tobermory’s famous white fish, gluten-free or grain-free burgers and wraps, gluten-free sandwiches, grain-free salads, dairy-free alfredo on gluten-free pasta, these guys have it right on so many levels. 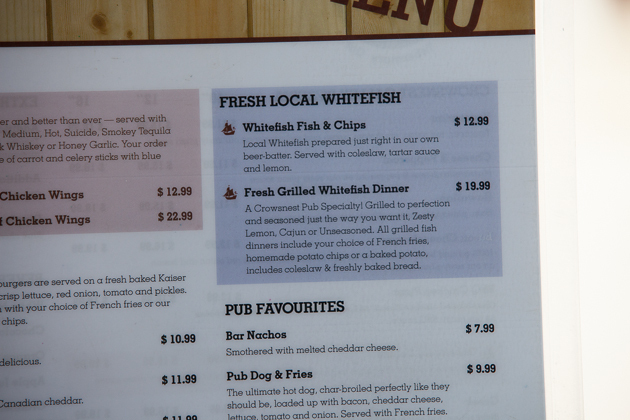 I had a hard time making my selection from the rich allergen-free menu, but in the end I went with something I knew I couldn’t get anywhere else – the famous white fish with zesty lemon seasoning. Kelly (our awesome, passionate, life-loving server) offered to replace the dairy and gluten-filled bread and coleslaw that came with the meal with a fresh garden salad. Booya! 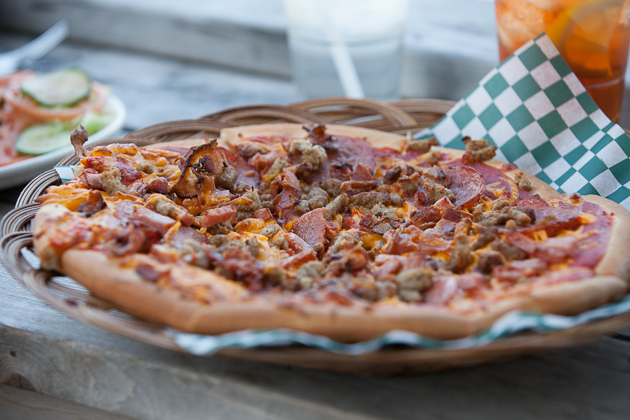 Kevin went for a 12” dairy-free meat lover’s pizza. I wanted him to get the gluten-free crust… but he went against it because he knew I’d end up eating half of his meal if it came gluten-free. Smart man. Our food came to our table lickity split, 20 minutes or so, giving us just enough time to soak in the gorgeous marine view from the patio and do a little people-watching on the streets below. Kevin; the meat loving, cheese diggin’ man that he is, loved his pizza through and through. 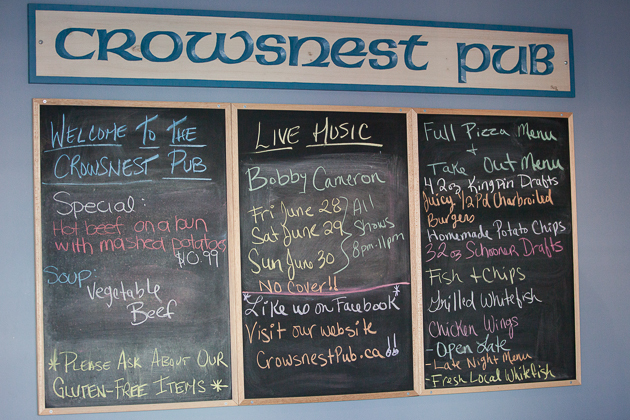 If you are ever in the area (or are looking for a sweet little town to get lost in for the weekend) we highly recommend staying a couple of days in Tobermory and treating yourself to some white fish and pizza action at Crowsnest Pub! Have you ever visited a place that pleasantly surprised you with all the healthy or allergen-free options available? 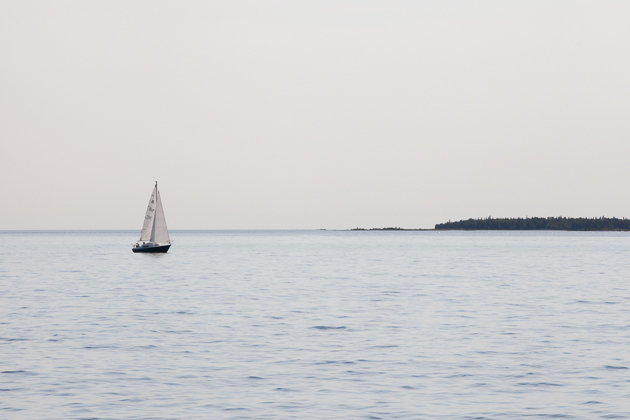 Your perfect vacation: is it by the water? In the wilderness? Maybe it’s in a busy city?